This is the only species on the list that I’d never seen before. 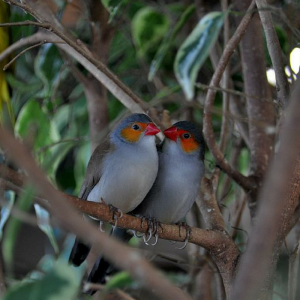 Orange-cheeked Waxbills are an African species that were brought to Houston as pets and then escaped in a big flock, forming a self-sustaining “feral” population. Thankfully they don’t seem to be causing too much trouble for native species. Another exotic, and a noisy one! At first I thought someone was mimicking a peacock call over by the ravine, but by the third day of screaming we realized that it was really a bird. He probably escaped from captivity somewhere along Buffalo Bayou. He wandered off after a few days – hopefully he found his way home. I only caught a glimpse of this tiny falcon flying over in the savanna restoration area, but it made a big impression. 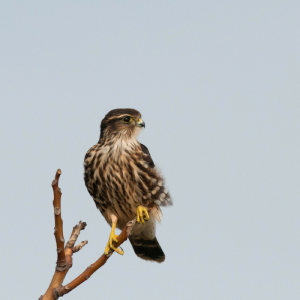 This was the Arboretum’s first recorded Merlin. Until recently, the Arboretum hasn’t had much open space where they can hunt. Seeing them here for the first time is a good sign that our savanna and prairie restoration is working! Another new species for the Arboretum. When I first started birdwatching I was captivated by pictures of this species in my field guide. 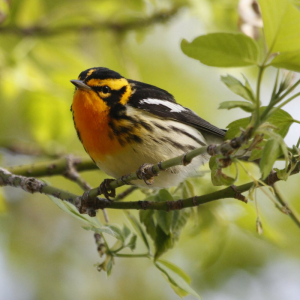 It took me a long time to see my first Blackburnian Warbler, and then I never saw another until this year, when I saw three together in a tree right next to the Nature Center! 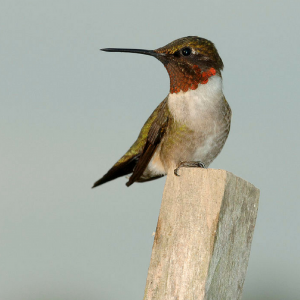 Hurricane Harvey’s high winds and heavy rain destroyed a lot of flowers, which was bad news for migrating Ruby-throated Hummingbirds. Thankfully the Arboretum’s flowers and hummingbird feeders were protected from the storm. Hummingbirds from all over west Houston came here to feed and recover – it was magical to see so many here at once. 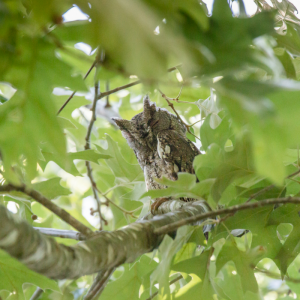 Almost every year we get a pair of nesting Eastern Screech-Owls, and 2017 was no exception. A pair nested in the box right behind the Nature Center building and gave us wonderful views throughout early spring. One of the biggest highlights of my year was seeing their fluffy little chick leave the nest for the first time. We don’t see many water birds here at the Arboretum, and the few we do see are usually “flyovers” on their way to and from Buffalo Bayou. 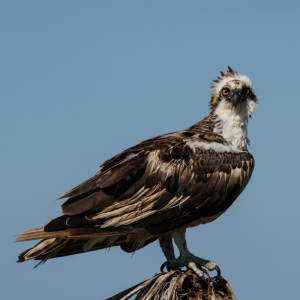 That’s why it was a real treat to get a good, long look at an Osprey flying over the Meadow during the Second Saturday Bird Walk in March. 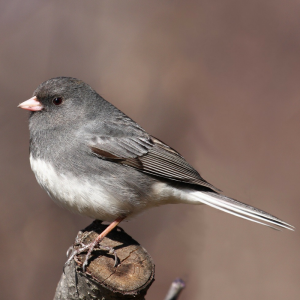 I have always had a soft spot for Dark-eyed Juncos as they are quiet, friendly birds. When I did bird banding work after college they were my favorite species to work with. Although they are common elsewhere, we had never seen Dark-eyed Juncos at the Arboretum until this year. That makes it species #167 on the Arboretum bird list. 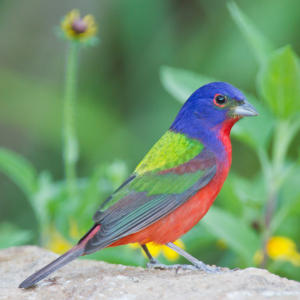 Another first for the Arboretum, and one of the most colorful birds in Texas. Male Painted Buntings are so brilliant they look fake. Even the “dull” females are vivid lime green. I lucked out and got to see a male and female together at the Meadow during fall migration. 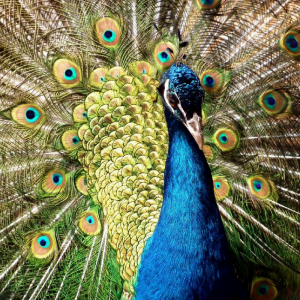 It’s not the rarest species or the most colorful. I’ve seen them before in other places, and other people have seen them before at the Arboretum. But when I finally got a good enough look to identify that small, brownish gray bird chirping in the Meadow on December 15th, I got a thrill. 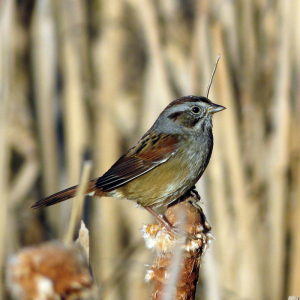 A Swamp Sparrow – my 100th bird of the year here at the Arboretum!